The director of the government's communication headquarters in Gloucestershire is leaving to take up a new post. Sir Francis Richards will become governor of Gibraltar next spring. 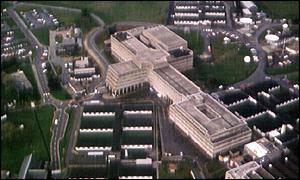 His successor at Cheltenham's GCHQ is expected to be named early next year, but the selection process is already under way. Sir Francis has been in charge since 1998 when he succeeded Sir Kevin Tebbit. In a letter to staff Sir Francis wrote: "This is the best job I have ever had or ever expect to have... but you need to keep things fresh." A GCHQ spokesperson said: "Francis has made a tremendous personal contribution to the continuing success and rapid development of GCHQ. "Obviously, we will be sad to see such a popular figure go, but he leaves the organisation in very good order."